Golden Grey Odour kitty litter made from fine bentonite is very popular among cat owners. Benefits of Golden Grey Odour Cat Litter at a glance: Bentonite (granules size 12) Without Baby Powder Scent With biological odour control Clumping litter 380% absorption Low in dust The clay used for Golden Grey cat litter is a purely natural product, so it is entirely harmleΒ for your cat. Immediate odour control that lasts several days is only one of the features of Golden Grey Odour clumping litter. It also completely prevents the build-up of bacteria and germs which may occur with urine and stool. Even if secretions are left in the litter tray for a week or more - with this litter, your cat will keep using it. 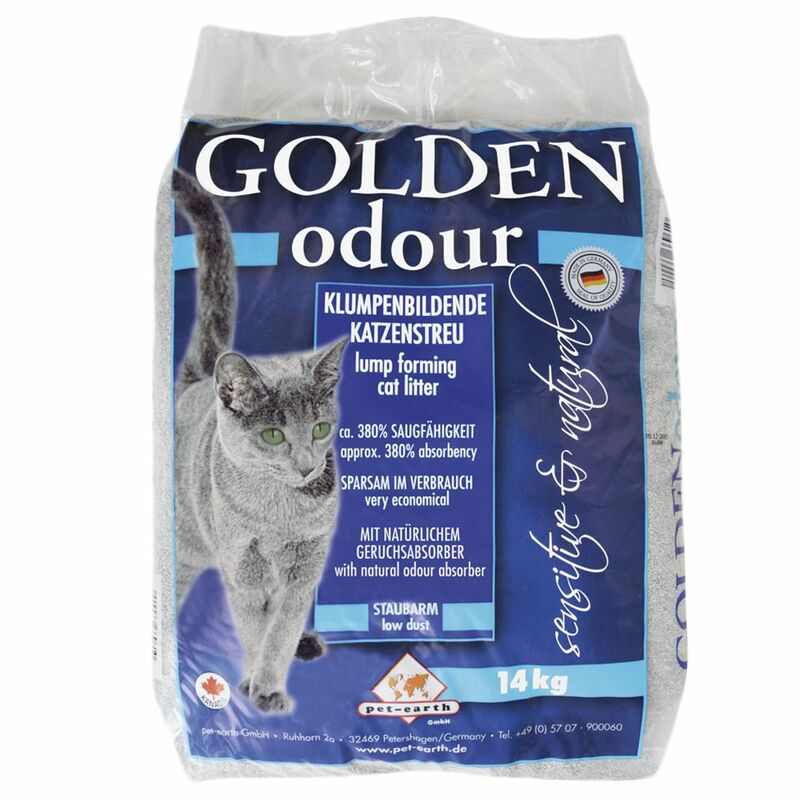 Golden Grey Odour is 100% odour-neutral with no added scents. The biological odour control agent immediately neutralises unpleasant smells. The litter is low in dust production and consists of extra-clumping granules that won't stick to your kitty's feet and get spread around the house. There is no need to empty the whole tray to clean, you'll only have to pick out the clumps, so Golden Grey is more economical and easier to use than conventional clay.